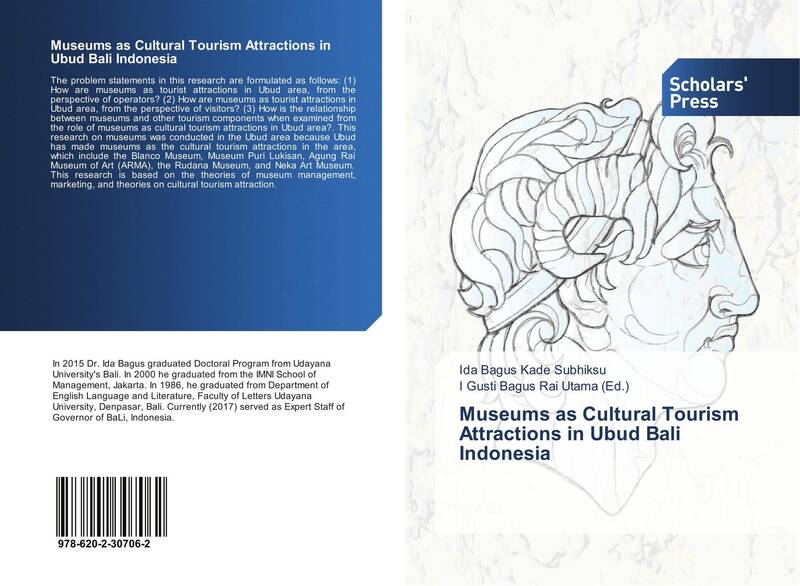 The problem statements in this research are formulated as follows: (1) How are museums as tourist attractions in Ubud area, from the perspective of operators? (2) How are museums as tourist attractions in Ubud area, from the perspective of visitors? (3) How is the relationship between museums and other tourism components when examined from the role of museums as cultural tourism attractions in Ubud area?. This research on museums was conducted in the Ubud area because Ubud has made museums as the cultural tourism attractions in the area, which include the Blanco Museum, Museum Puri Lukisan, Agung Rai Museum of Art (ARMA), the Rudana Museum, and Neka Art Museum. This research is based on the theories of museum management, marketing, and theories on cultural tourism attraction.